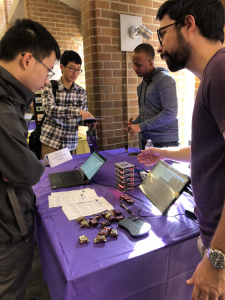 Thank you to everyone who stopped by our table at the RSO Fair and at the Student Tech Expo, it was great meeting everyone! Hope to see you all at our first General Body Meeting of the quarter Thursday, Oct. 4 from 1-2:30 PM in the Data Science Studio. In the meeting we will review recent amendments to our constitution, our agenda for the Fall quarter, and introduce the new officers. Also, we will have pizza! Following the General Body Meeting will be Training Sessions in Cloud Computing and Hyak Fundamentals in the same location from 2:30-3:30 PM. 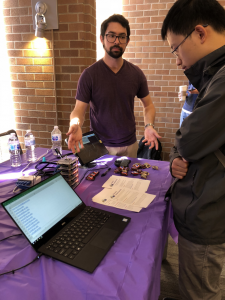 Reminder to current members: In order to maintain your status as an active member of our club with access to the STF nodes on Hyak, you must attend at least one club event per academic year (attendance will be taken).